Price and Availability: PhP 31,990 without line contract. Available starting June 7, 2013. 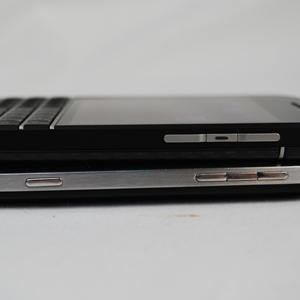 BlackBerry does't break the mould when it comes to designing the Q10. It adorns the signature BlackBerry form factor that everyone is familiar with - a candybar design with a physical QWERTY keyboard situated below the display. The most obvious comparison is with the BlackBerry Bold 9900, which we reviewed in August 2011 and deemed it as a gallant warrior sent to stem the company's declining market share and buy time for developing BlackBerry 10 (BB 10). 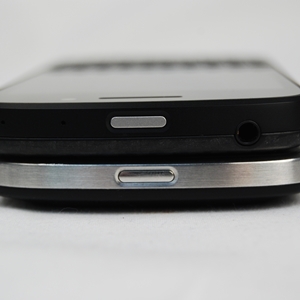 Face-front, both devices seem to share similar design traits, although BlackBerry had to update the design of the Q10 to keep up with times. For example, the Q10 sports a slightly larger display at 3.1-inch which by today's standards, is inadequate for any heavy multimedia usage. 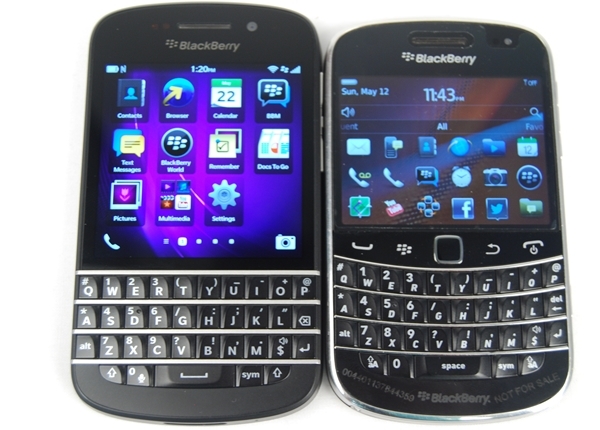 For Bold 9900 users, the bigger screen is considered a major step up and is likely to suffice for messaging and reading emails. As BB 10 is a touch optimized user interface, BlackBerry has to do away with the row of physical buttons (dial, menu, optical trackpad, back and end call). The end result is a thin bezel separating the display from the keyboard. Speaking of the keyboard, BlackBerry re-engineered the design to make it better for consumers who cannot live without physical keyboards. Unlike previous Bold models with slightly curved kyeboards, the Q10 has straight rows of keys separated by distinct ridges. It may initially seem or feel awkward, but our fingers adapted to the new layout within minutes of using the Q10 and long time Bold users should have no problems adjusting too. 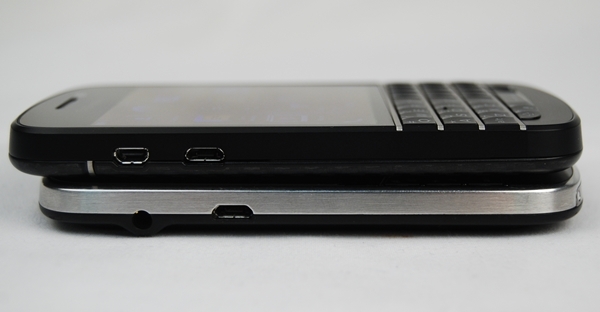 As with previous Bold models, the Q10 also has a removable battery. To remove the back cover, place one or two thumbs on the cover and push it down. There is no groove to assist you in this, hence a little strength is required. 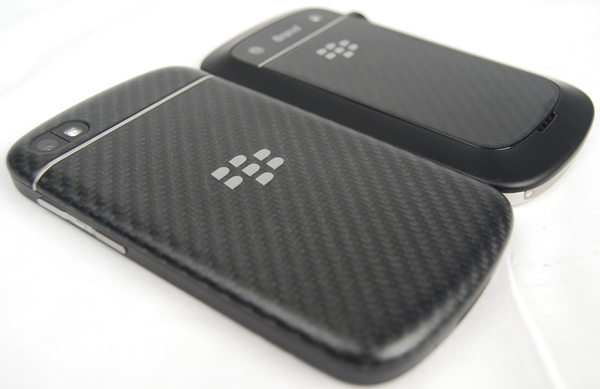 Thankfully, the back cover is made up of a matte carbon fiber material that will not cause your fingers to slip easily. The Q10 runs on BB 10.1 out of the box. The update will be available soon for Z10 users and it will be rolled out through carrier partners over the coming weeks. 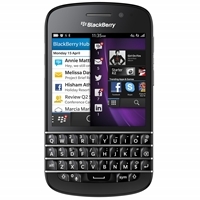 New features aside, navigating the user interface remains the same on the Q10 as it is on the Z10 except that with the QWERTY keyboard, BlackBerry has enabled the keyboard shortcuts and "actions" to the universal search. Long time BlackBerry users will be familiar with the classic keyboard shortcuts. Although some have been removed, there are still over 200 keyboard shortcuts available on BB 10. Pressing the letter "T" or "B" in the web browser, email, BlackBerry Messenger (BBM) chat or SMS will jump to the top or bottom of the page. Pressing the letter "C" will prompt you to create something depending on the app you are in. For example, pressing "C" in the email folder will compose a new email. Similarly, the same action will create a new event if you are in the Calendar app. Pressing the letter "I" or "O" while viewing a picture in BBM will zoom in or out. The addition of "actions" to the universal search function on BB 10.1 allows you to carry out specific actions by simply typing into the search box. At time of publication, there are 7 apps or features that support the action function. They are BBM, email, call, text, Facebook, Twitter and LinkedIn. Actions make practical sense for a device like the Q10 as it has a smaller screen real estate and it puts the QWERTY keyboard to full use. The only issue that we foresee is the sheer number of shortcuts that one has to remember, especially for first time BlackBerry users. 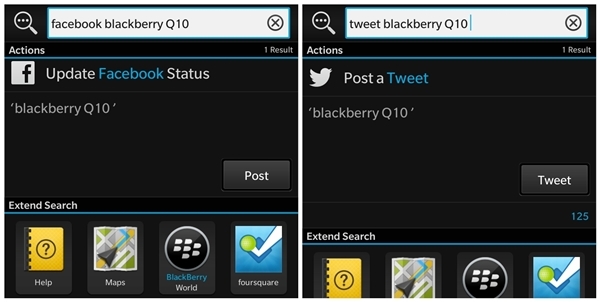 The full list of BlackBerry Q10 keyboard shortcuts can be found here.